The gorge of Sarakina is a short but impressive gorge next to the village, immersed in vegetation ,Meskla, in Chania. It is not popular, it is rather unknown, although it is an amazing place to walk and enjoy the beauty of the Cretan nature. It is open all year around and most of the walk in it is in the shade of high trees, so it is also suitable for walking on hot days. 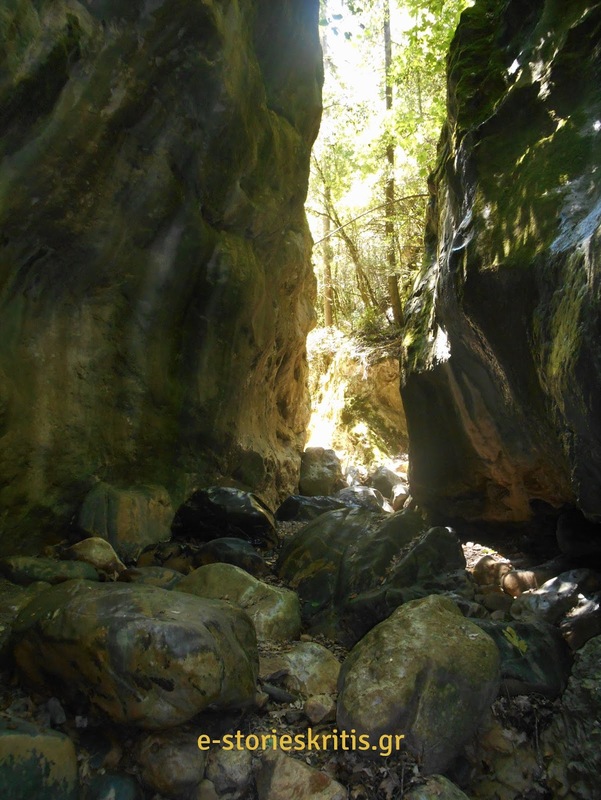 Everybody can hike in Sarakina gorge because it has a very distinctive path which can be crossed in about an hour. The path has wooden and medal bridges , stairs when needed, and a place with benches where one can sit, get rest and enjoy his food. You do not need hiking boots, running shoes are good enough for this walk, but as everywhere in Crete the path is stony so you need to pay attention. The easiest way to reach the gorge of Sarakina is to leave your car after the Meskla village to the way to Zourva, on the first closed curve, οn the right hand-side of the road.